Excellent fit. However, I initially ordered a sky blue puppytooth shirt, and had to return because of less than ideal fit. The replacement shirt fit perfectly, but it was a gingham pattern shirt instead of the puppytooth shirt I initially ordered. Response from Charles Tyrwhitt: I am sorry to hear this. It appears we ordered the correct Puppytooth shirt for you on the replacement order, so very sadly it appears this may have been an error with picking your order in the Warehouse. Obviously, this is most frustrating as we aim for 100% accuracy in all things. Please let us know if you would prefer for the Puppytooth to be sent, or if you are happy with the Gingham. 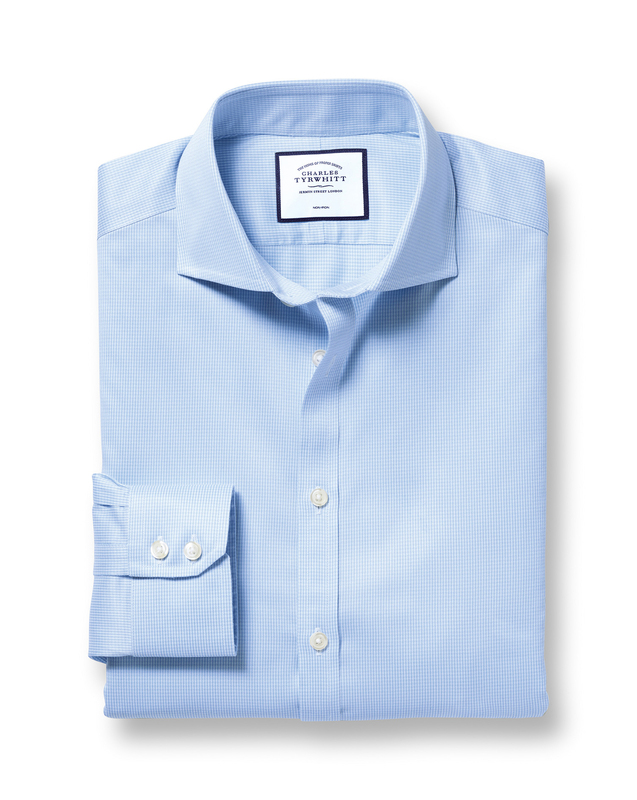 The dress shirts are an absolute "go-to", my closet is filling up with them! Fit and quality are supreme.